A growing number of faculty members are associated with the Centre’s activities. Below are the profiles of key faculty holding leadership roles with the Hennick Centre. The Hennick Centre Executive Committee and Advisory Council members comprised of practicing business leaders and lawyers, as well as our junior and senior Fellows are also the driving force behind the Centre toward its objectives. 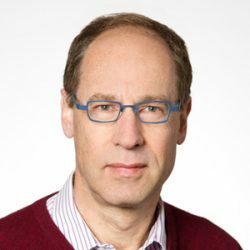 Edward J. Waitzer is the inaugural Jarislowsky Dimma Mooney Chair in Corporate Governance, a joint appointment between Osgoode Hall Law School and the Schulich School of Business at York University, since 2007. He is also Senior Fellow of the C.D. Howe Institute, an independent not-for-profit research institute whose mission is to raise living standards by fostering economically sound public policies. Previously, he was the Falconbridge Professor of Commercial Law (2005/6) and served as an Adjunct Professor at Osgoode. He teaches a range of courses including Business Associations, Corporate Governance, Investor Protection, Mergers & Acquisitions and an “Art of the Deal” seminar. Mr. Waitzer was Chair of Stikeman Elliott LLP from 1999 to 2006 and is a senior partner whose practice focuses on complex business transactions, public policy and governance matters. He has written and spoken extensively on a variety of legal and public policy issues and has served as director of a number of corporations, foundations, community organizations, editorial boards and advisory groups. He has previously served as Chair of the Ontario Securities Commission (OSC) and of the Technical Committee of the International Organization of Securities Commissions, as well as Vice-President of the Toronto Stock Exchange. He recently retired as Chair of the Liquor Control Board of Ontario (LCBO) and as Vice-Chair of Sociedad Quimica y Minera de Chile (SQM). Peter Macdonald is a lawyer, mediator and co-director of the Joint MBA/JD Program at the Schulich School of Business, York University. Peter graduated from Osgoode Hall Law School in 1985 and was called to the Bar of Ontario in 1987. From 1987 to 1994, Peter practised corporate/commercial and securities law with two downtown Toronto law firms and a large multinational corporation in Montreal. Over the past fifteen years, Peter has been engaged as an independent commercial mediator in a broad range of corporate, banking, personal injury, employment and insurance-related disputes. In addition to his mediation practice, Peter teaches various business law courses to BBA, MBA and Joint MBA/JD students at the Schulich School of Business where he has received numerous Teaching Excellence Awards. Peter has also been extensively involved in designing and delivering intensive negotiation and mediation training programs for judges, lawyers, public sector agencies and other business professionals throughout Ontario.